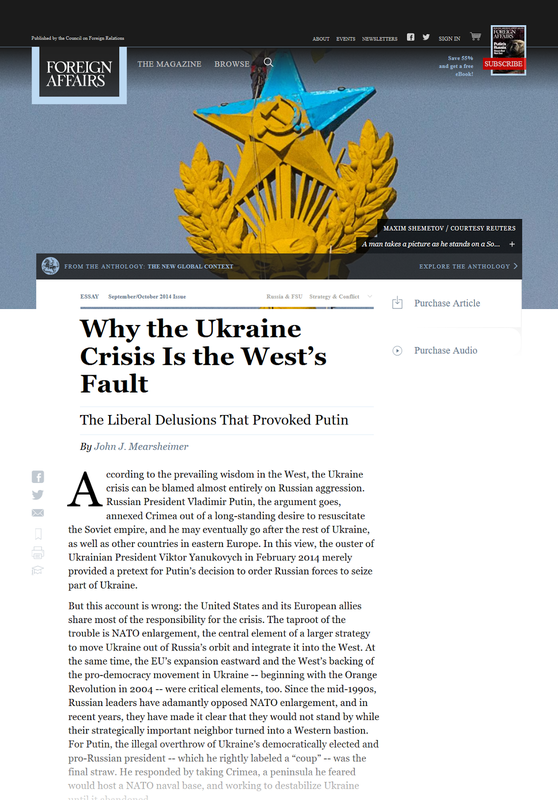 "According to the prevailing wisdom in the West, the Ukraine crisis can be blamed almost entirely on Russian aggression. Russian President Vladimir Putin, the argument goes, annexed Crimea out of a long-standing desire to resuscitate the Soviet empire, and he may eventually go after the rest of Ukraine, as well as other countries in eastern Europe." 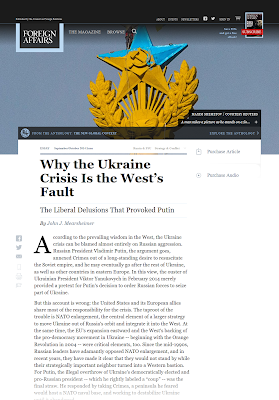 "But this account is wrong: the United States and its European allies share most of the responsibility for the crisis. The taproot of the trouble is NATO enlargement, the central element of a larger strategy to move Ukraine out of Russia’s orbit and integrate it into the West."